Monrio has become one of the best-known names in Italian hi-fi market; their specialty are quality electronics at down-to-earth prices. Their web-site, www.monrio.com, is on-line but still under construction. During my long, low-profile audiophile career, I didn't have the chance to listen to many of their products, but I have always kept Monrio in high esteem, both for their consistency in delivering good products to the market and for their well-thought technical solutions. I remember, in particular, their use of a CLC (capacitor-choke-capacitor) PSU on a solid state amplifier of theirs, a remarkable solution in a world where the PSU of most amplifiers, even those carrying substantial price tags, is made of a rectifier bridge and a host of huge capacitors. 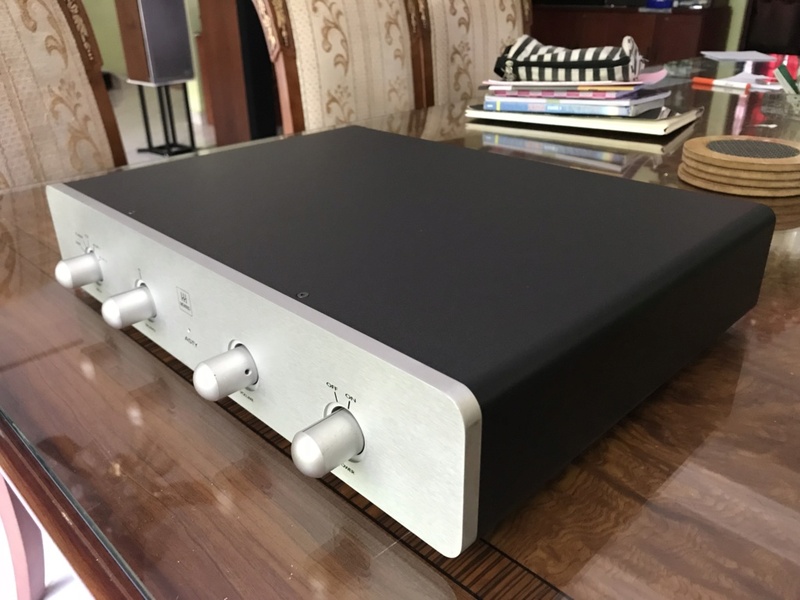 Old memories, which, while revealing my age, also confirm the fact that Monrio has been in this market sector for a long while.In this review we will investigate the Asty, their entry-level integrated amplifier. The Asty is really good even at first sight: restrained and stylish, in a black case, with a nice, substantial faceplate in 10mm brushed aluminium; its solidity and compactness makes for a nice feeling of sturdiness. On the simple and clean faceplate we find four knobs, from left to right the input selector, the balance control, the volume control and the on-off switch. 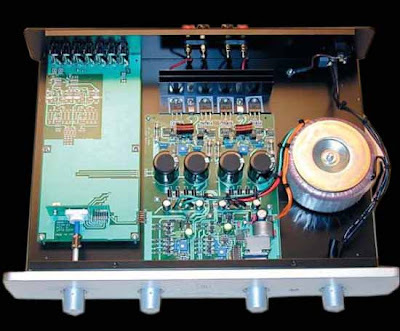 On the back panel, as it is normal, the input connectors are placed; these are a little bit too close each other, especially if you need to use those audiophile-approved interconnects of garden hose size, and the high quality output binding posts. 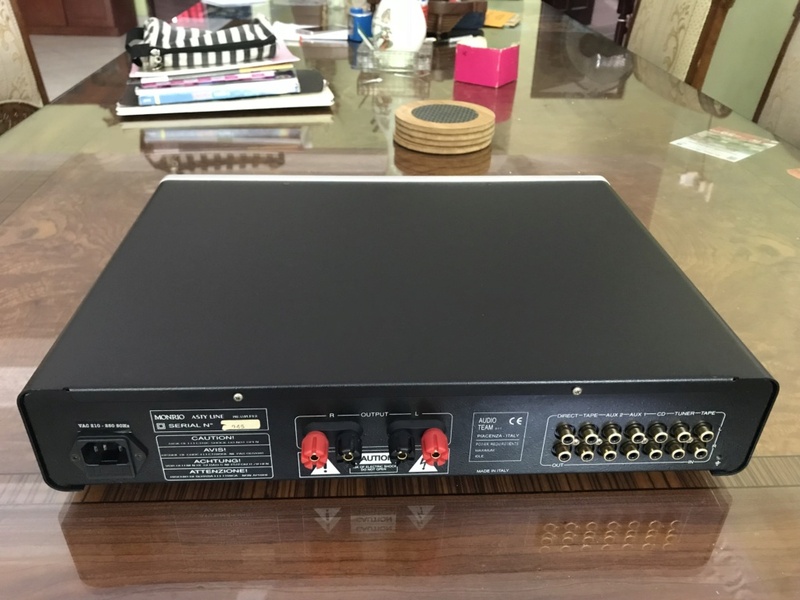 One of the inputs is named "direct"; according to the user manual, this input is the one to use in an A/V system, after operating a switch inside the amplifier.Lastly, an IEC mains socket is present. All of the components seem to be good quality and the circuit is completely dual mono from the bridge rectifiers on. The potentiometers would seem to be quite low-cost ones, but you won't hear a word from me against these components as, most of the times, cheap ones are almost better-sounding than their more expensive counterparts, their main drawback being a slight lack of reliability. Rated output power is 55w/ch, almost certainly Class AB, as the amp is always barely warm, small heatsinks notwithstanding. To put it bluntly, I think this test of mine is inconclusive (but don't worry, read on and you'll find a report by someone whose opinion is valued much more than mine) as the marriage between this amplifier and my speakers is not an ideal one.The Monrio wasn't bad sounding, far from that, but reviewing a 55W amplifier with 100dB/W/m speakers is quite unfair. 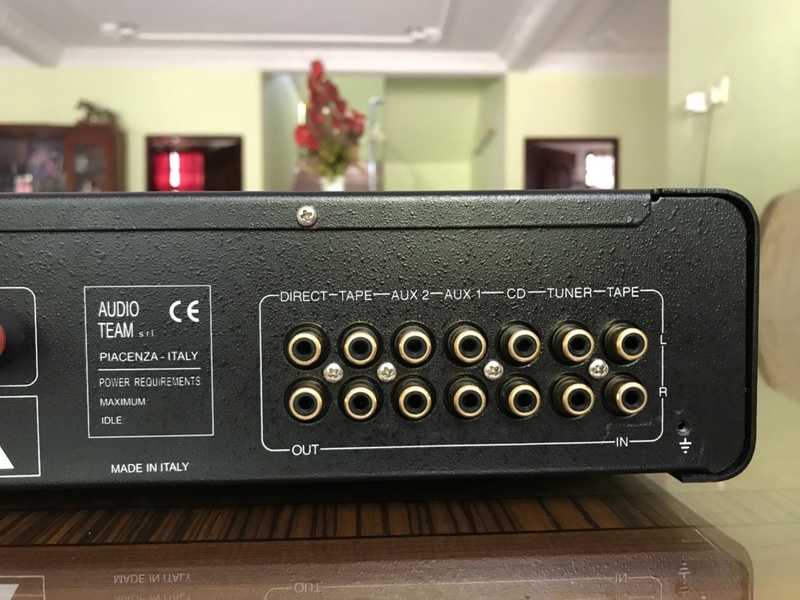 I know, I know, I will eventually have to treat myself to a pair of "normal" loudspeakers, but for reviewing purposes ONLY, right?Anyway, if I had to summarise the impressions I had of this amplifier, I would say, as an old Italian ad for a whisky, "clear in colour, clean in taste"; this is the kind of basic character of the amp's sound quality, the first impressions confirmed in longer listening tests.The balance is tipped towards the clear, but this doesn't mean that the bass is lacking, far from that, but it's a well articulated and restrained one. Vocals, and midrange in general, aren't up to the quality of the ones provided by my reference amp; the human voice, in particular, is lacking in body and in that "breathing" quality which makes it more credible, but this is nitpicking, as this is a product which achieves much more than it's fair to ask from it. The frequency extremes are fine, always present and lively as they are. The soundstage is good in width, slightly less good in depth, as a little shortening of perspectives is apparent.To summarize, this amp's sound is fine, a down-to-earth, honest sound quality, which doesn't achieve the reference level in any parameter, but never lets down. The Asty is, no doubt, a good product. It is well built, it employs good quality components and it's sound won't make you think you could have spent the amount it costs in a better way, Yes, let's not forget this amp just costs 650 Euro, which in my opinion makes of it the integrated amp with the best price/quality ratio I have had the chance to listen to.It surely has some drawbacks, but, at this price level, if it didn't have any, it would be a miracle.Nice one, Monrio!